Two important subjects to bring to everyone’s attention before you officially start your weekend. I was given the opportunity to review The Green Path Comany’s PDF version of the first in a series of The Green Crusaders: The Filaments see the Light. The Green Crusaders are a group of Eco-superheroes who are dedicated to teaching families about simple ways to lead more earth-friendly lives. 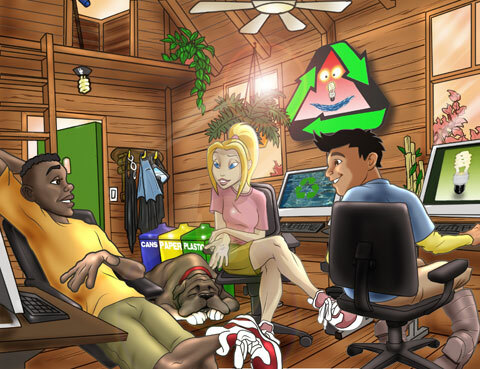 Our series of short stories, written for children ages 5 – 10 years of age, centers around Recycle Mycle, Hydro Hannah and Kilowatt Karlos and their sidekicks Plastic Mastiff and Eco-Ally. Since my 6 year old spent the night at Grandma’s last night and my 4 year old is still crashed out, I read thru this book by myself as I sipped my morning coffee. The Filaments are an unknowingly wasteful family, but with the help of the Green Crusaders they are put on a greener path. It was a fun quick read, almost storyboard in fashion, I could totally see this being made into a Saturday morning cartoon! Actually better yet a series of commercials geared towards kids. Oh I’ll hush what do I know of writing books, cartoons or commercials? As you can see from the sample I pulled the illustrations are absolutely amazing, too!! The last pages also include a pledge sheet, a checklist, and a fact sheet for kids to commit to going green. The book is available on CD for viewing on your computer or printing. I am not sure of the CD format, but the standard .pdf format I received was typical scroll thru which is not so kid friendly, IMO. I would love to see this presented in an e-publication, flip book fashion. If you’re looking for a green weekend activity for the kids grab up this CD! 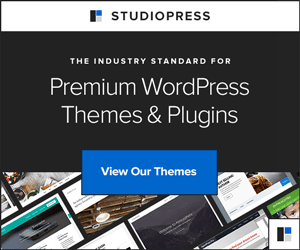 $500 from EcoStore USA: Clean and Simple! 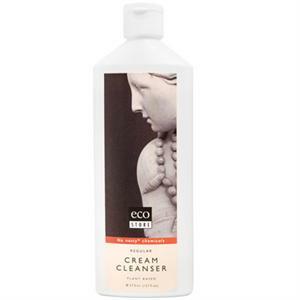 EcoStoreUSA is giving away a $500 Gift Card just for using their Lemon Cream Cleanser! Grab some of this awesome cleaner, with no nasty chemicals and a video camera. Just 30 seconds of cleaning and creativity can land a $500 Visa gift card in your hot little hands… now that’s my kind of cleaning! Check out all the details on Ecostore USA’s Blog. May as well go over to their Facebook Fan Page and become a fan now, since that’s where you will post your video. Besides, they’re always doing exclusive giveaways for their Fans, so that’s double incentive! Now, anyone have a video camera I can borrow? Have a great weekend!! I’m going to have to order that Green Crusaders- Filaments cd!